Now under new leadership, Patterned Concrete® Industries Ltd is increasing licensing opportunities for qualified U.S. contractors. More licensed installers of a proven, branded system will also help improve consumer confidence in stamped concrete says company president Joe Guida. The Canadian-based company provides trademarked tools, comprehensive training, a business and technical support network, and—perhaps most importantly—brand recognition. Licensed contractors work with a proven system of products, tools, and equipment to deliver a consistent end result. 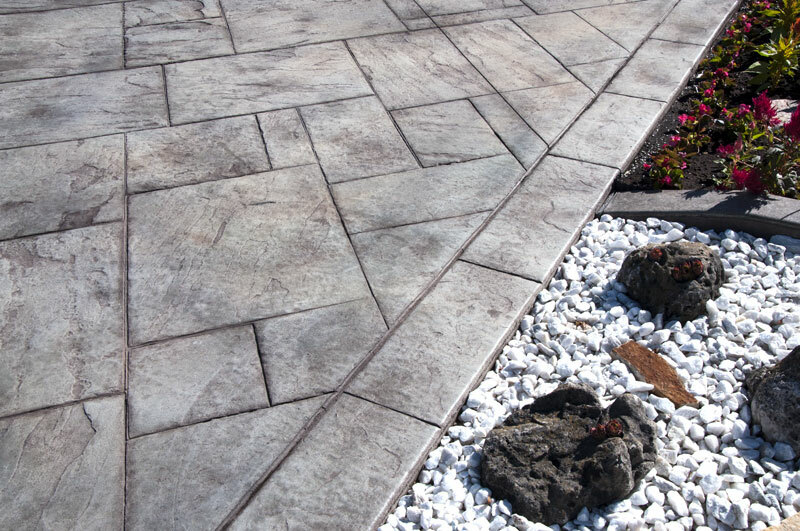 Architects, designers, and others can specify by brand and installer name (i.e., “Yorkstone manufactured and installed by Patterned Concrete”) to achieve the same look in any state or province. There was a time when contractors felt they did not need a license, says Guida. They didn’t want to be governed by a territory or have to pay royalties. Now they are realizing that anybody, regardless of training or experience, can buy a set of tools and some material and be their competition overnight. Contractors can attain a competitive edge, however, with the support of a proven brand, training, and a network of like-minded contractors/business partners. Patterned Concrete® is a worldwide organization consisting of concrete professionals who specialize in high-quality architectural construction. With more than 40 years of ongoing research and development, our experience and workmanship strengthen the ability to maintain the quality and control of our service and products.